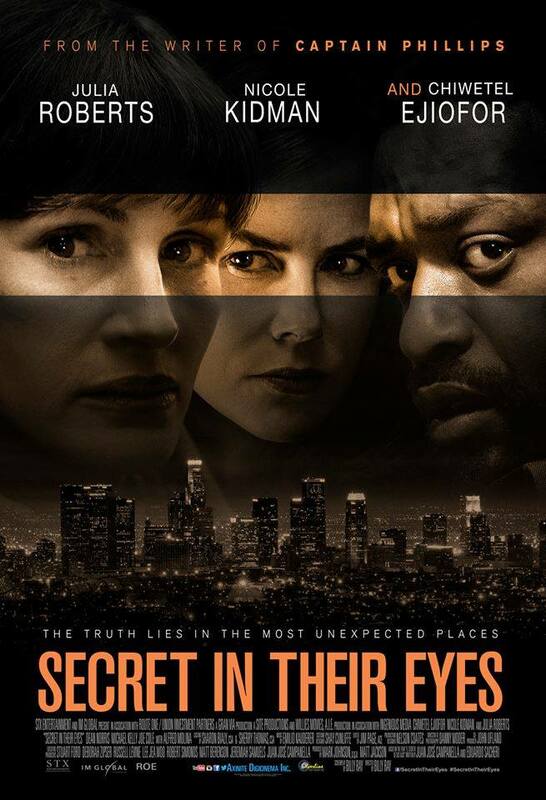 Home / MOVIE REVIEWS / Movie Review: "Secret in Their Eyes"
Movie Review: "Secret in Their Eyes"
Watching “Secret in Their Eyes” is like untangling an intricate pattern of jigsaw puzzle that would only reveal the complete picture in the end. The masterful weaving of the present and the past perfectly adds the thrill in solving the secrets in the three main characters eyes. 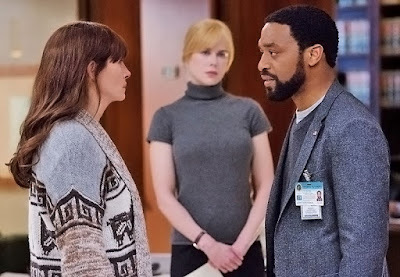 The intensity of the film was heighten by emotional dialogues by an intimate cast (Roberts, Kidman, and Ejiofor). The film seems to cradle you with limited idea of what is the real deal on the plot then leads you to a web of possible plot theories. What I like about this film is that every scene is crucial. The flow of the story holds your thoughts and emotions as you go to the process of unraveling the truth. We love how the tension and emotions could be felt in the film even if some of the powerful scenes were with no particular dialogues but gestures and eye contacts. Julia Roberts has proven again her acting prowess alongside Nicole Kidman. Chiwetel Ejoifor was just brilliant for his role. he was one of the best factor that this film is a masterpiece. The film progressed with some unusual visual cues and flashbacks that helped in uncovering the real story of what happened years ago. One of my favorite scenes in the film was (spoiler alert) when Jess Cobb (Roberts) found-out that her daughter was death, and the emotional elevator scene of the three main character with the murder suspect. 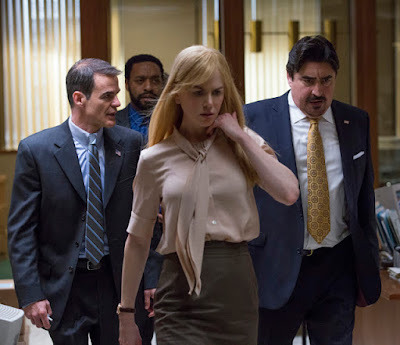 Another scene that would probably linger in your mind is the interrogation scene with Ray Kasten (Ejiofor) and Claire Sloan (Kidman). 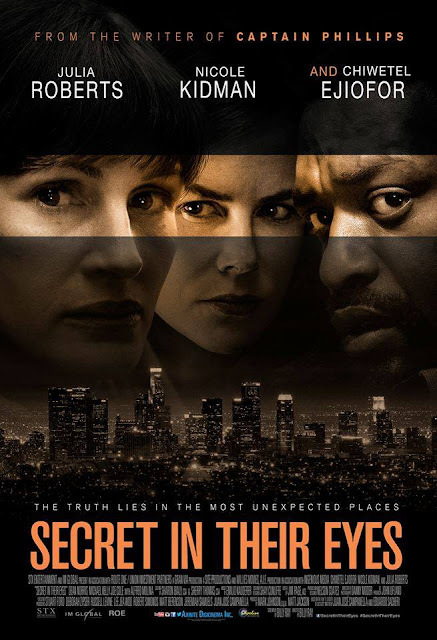 “Secret in Their Eyes” is based on “El Secreto de Sus Ojos,” the 2010 Academy Award winner for Best Foreign Language Film, directed by Juan Jose Campanella. In the movie, a parent’s worst nightmare happens when investigator Jess Cobb (Roberts) finds her daughter brutally murdered, along with his best pal in the force, Ray Kasten (Ejiofor), the two set out to uncover the elusive killer with the aid of district attorney Claire Sloan (Kidman). Years passed and the killer is still lose on the streets of Los Angeles, beneath the missions, Jess tries hard to cover the pain that has haunted her for years after her daughter’s death. Nicole Kidman says that the plot intrigued her when she first read the script. “Rarely do you get scripts that have three strong protagonists and a really, really strong storyline. I’ve known Billy for a while now and I wanted to work with him and the idea of doing this with Julia and Chiwetel was compelling. “For me writer-directors are the best combination.